"do not recommend this airport"
✅ Trip Verified | Very bad experience at security. I am a very careful traveler and even though my bottle had 60ml written on it and it fit the special bag, security decided that they will not allow it. In my opinion this is not going by the rules. I do not recommend this airport. ✅ Trip Verified | Very annoying smell of tobacco smoke at the gate. There is a closed area for smokers, which should either be properly isolated and ventilated or removed altogether. "irritating to have to throw away things"
✅ Trip Verified | This is not a very friendly airport. They should tell you what they define as liquids at the ticket counter (toothpaste, gel, other toiletries that are not liquid). It was really irritating to have to throw away things that I've never had to throw away around the world. And I used to work at an international airport. Then you could put those things under before they are taken. "extremely irritating and time consuming"
✅ Verified Review | I nearly missed the plane to Romania due to extra passport check (required apparently only for Romanian passports). Moreover as it turns out it was not a passport check at all. I basically had to wait in line with all passports, all destinations just to get a hand made sign on the boarding card, when I had no baggage to drop, and my check-in was done online. It was extremely irritating and time consuming - no one knew anything as to why or what was behind it, and it made no sense whatsoever. Well, I have only one reason for complaining, except the most obvious one, that the Malmo airport is actually Sturup and is not close to Malmo as one might think. 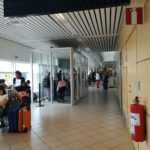 The issue that bothered me was the fact that even though I had checked in before coming to the airport, I was denied entrance in the airport based on the ground that I had to pass Wizzair desk for confirmation. I had no cargo luggage, I had my ticket with me and the idea of going to a queue for no reason whatsoever was mind blowing. So I went to the desk, the lady wrote something with her pen on my ticket, then I came back and the lady that denied me in the first place made an ok sign with a marker and then I got to security check. It seemed like a stupid, unnecessary check since there was nothing to check in the first place. So there you have it, beaurocracy at its best. Arrived at MMX midday. No long trip taxiing to the gate and as this is a pretty quiet airport it is a short walk to arrivals. Washrooms are neat and tidy. Bus to city centre is reasonably priced and is a 40 minute trip. 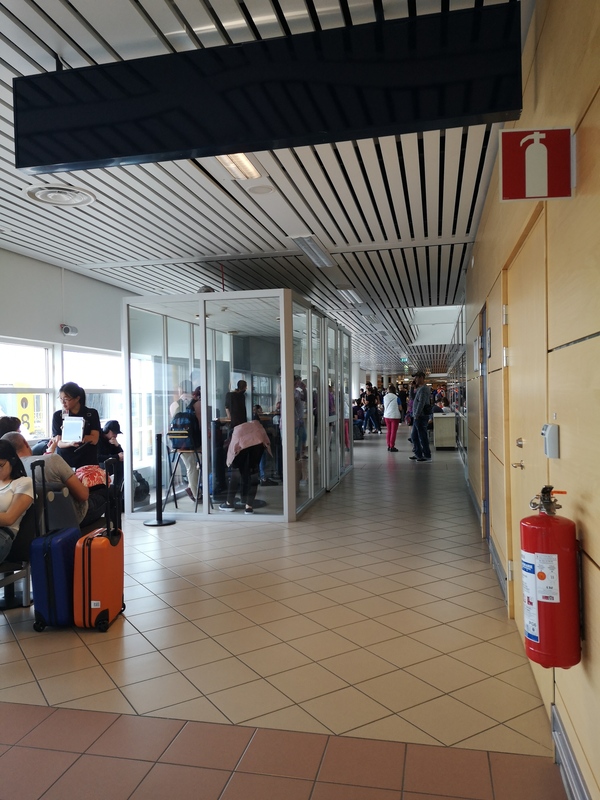 I flew to MMX after missing my flight to CPH and was pleasantly surprised by this smaller regional airport. It was refreshing to have shoulder space as I walked and not be bombarded with stores. that said it is still probably quicker to get to Malmo city centre from CPH via train than from MMX via bus. Although painted in a horrible orange colour Sturup is a quiet regional airport with nice staff and large seating areas but a very limited number of shops. Surprisingly it is located quite far from Malmo city centre. From the airport it took me almost 45 mins. Beware that Malmo taxi drivers have the reputation of cheating people so always ask for the price before. There should be a fixed price between the airport and the city around 400 SEK. A quiet and relaxing airport which means that it is too large for the number of passengers and there are very limited shopping and food outlets. On several occasions when I have been there the shops and cafe have been closed. Last time I was here they changed the boarding gate several times leading to much confusion. Good point is good hire car access straight outside terminal. 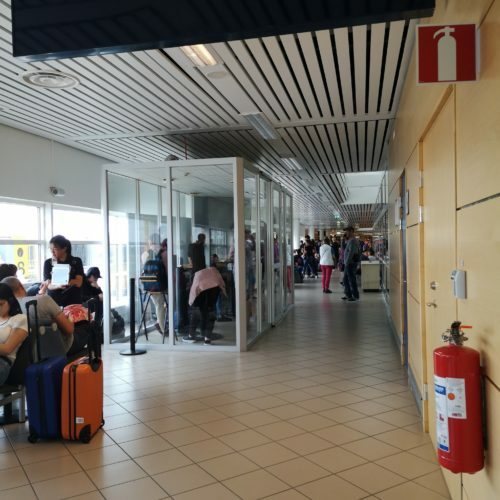 I have used Malmö-Sturup Airport several times during the last year and I am usually satisfied. It is a small airport with nothing to do and not much to see but you can still find almost everything you need (including a hotel). As an answer to Mr. Ellis´ comment below there is in fact also a small café also in the non security area of the airport but it is hard to find it (it is "hidden" to the left of the Forex exchange office so if you don´t visit Forex you will probably miss it). However beyond security control you can´t find much to do to help waiting time pass by - there is a combined bookstall and café (but I don´t think they serve full meals just refreshments sandwiches and the like) and a not-so-interesting duty free shop. But if you arrive to the airport early enough to complete the formalities without hurry you will find it a calm stress-free airport - and after all that´s not too bad. Finally an airport which is a bit too spacious for the small number of flight operating from there. With the design a bit 70ties there is not much to complain; there choreography of boarding passengers and those going through immigration after arrival could be improved.